Located perfectly in the heart of Nha Trang Bay, Premier Havana Nha Trang is the ideal destination for your luxury getaway. Inspired by the beautiful harmony of Western and Asian styles, the hotel features a uniquely modern charming design concept, leaving you a warm welcome from the moment you enter the Hotel Lobby through to different rooms and suites. •	41-storey building with 1.000 ocean-view guest rooms. •	Ideal location in Nha Trang center, only 40 minutes from Cam Ranh Airport. •	Private underground tunnel leading from the hotel to the beach. •	Infinity swimming pool with panoramic ocean view. •	2 Restaurants,Skylight, Havana club, Pool bar which meet all the expectation of guests. 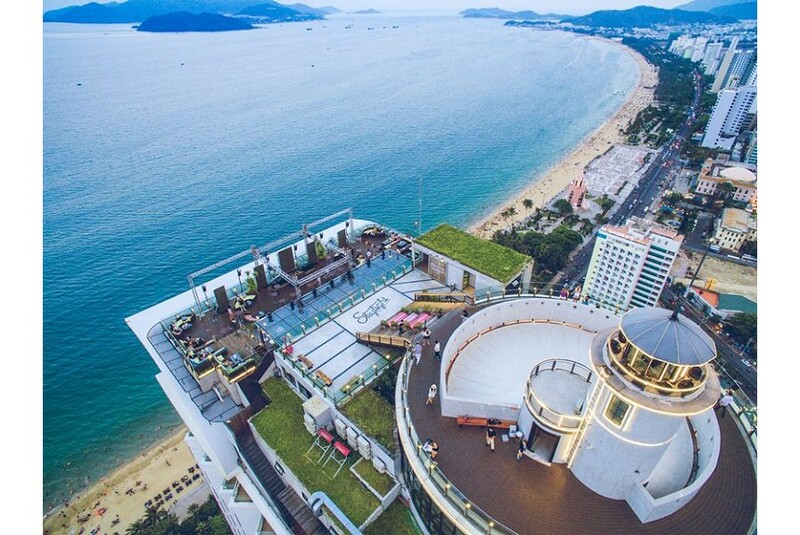 •	Sky Light 360o is the roof of Nha Trang where you can view overall landscape of the ocean.